At a hackathon in Philadelphia last November, one of the best ideas came not from a professional designer, but from a nine-year-old. The boy pitched an app that combines carpooling with Uber-like capabilities, allowing a private network of families to share driving. The idea came from the boy simply identifying a problem in his life – not being able to attend after-school clubs because, like many kids, he has two working parents – but came backed up with a solid business plan. “It was voted best business model of the entire hackathon,” says Kwame Anku, director of strategic development at #YesWeCode, a US organisation that uses tech to target disadvantaged young people and transform their lives. This isn’t just a fluke: apps like this are cropping up across the world, little sparks of genius dreamed up by kids who are still in school. I’ve come across virtual piggy banks, safe street-navigation tools, an app that supports LGBTQ teens and a game called Tampon Run – there’s no way a 30-year-old male developer could have come up with that. A growing number of organisations are dedicated to teaching children to code and develop tech, so what we’re now seeing is children actually developing innovative, useful apps and then taking them to market. 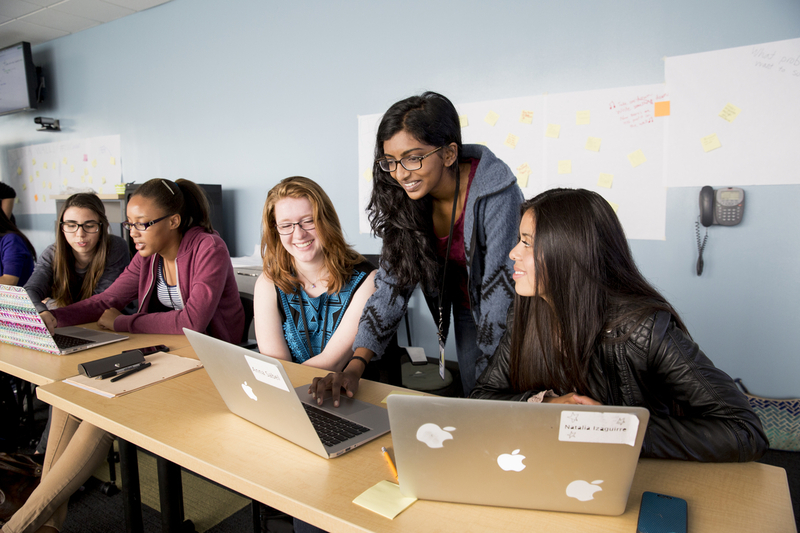 Kids under 16 are uniquely placed to launch what could be tech’s next big thing. Their ingenuity and natural affinity with digital tech means they’re essentially sowing the seeds for the sector’s next generation of disruptive startups. And this is catching the attention of some pretty serious investors. #YesWeCode held a youth hackathon in Detroit last month. “The theme was education: if you were in a position to solve a problem with the education system, what would you do?” says Anku. “You’re talking about real problems that millions of kids are facing. Kids have an uncanny ability to both invent solutions to real-world problems and tap into the mind-set of consumers their own age. One app to hit the market recently is Votr. Billed as ‘politics for the Twitter generation’, the Tinder-style app links to politicians’ social accounts to help younger voters make political choices. “Purely by virtue of being the same age as the key market, they’ve got a really good insight into what app users are looking for,” says Ruth Nicholls, managing director of Young Rewired State. The UK-based organisation represents a global community of digital makers under 18, equipping them with skills, then encouraging them to experiment and turn ideas into real prototypes. Votr was developed during Young Rewired State’s Festival of Code, the world’s largest annual hack event. Last summer’s festival saw 1,000 kids aged seven to 18 take part in centres across the UK, building games, websites and apps. “What’s interesting when you look at what young people create is they tend to be very focussed on community and problem-solving,” says Nicholls. Another festival project that’s now available to download is WhatLeadsTo, a brilliantly inventive tool that allows users to collaborate on a shared aim. A user poses a question, for instance ‘What leads to healthier environment?’, or even just ‘What leads to a perfect cup of coffee?’ and people suggest steps that will lead to that goal – all laid out in a clean, minimal format. 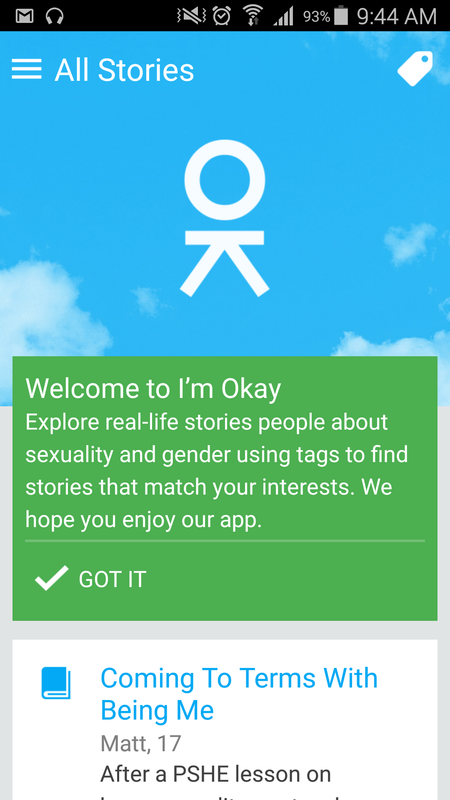 I’m Okay, meanwhile, is a tool that allows LGBTQ teens to share stories on sexuality and gender, helping them cope with their own experiences. With easy-to-use features and a clean, simple interface, the app offers young people a collection of intimate, personal stories about coming out. I’m Okay demonstrates the same socially-conscious motivations, as well as filling a gap in the market. It was developed by four teenage girls, with support from Thomson Reuters and Apps for Good, a London-based group that partners with schools to deliver coding training. Apps for Good aims to create a new generation of entrepreneurs and makers, empowering students to seize digital opportunities. “The most important part of our app is the personal stories that we’ve gathered from the general public,” says Katie, one of I’m Okay’s designers. 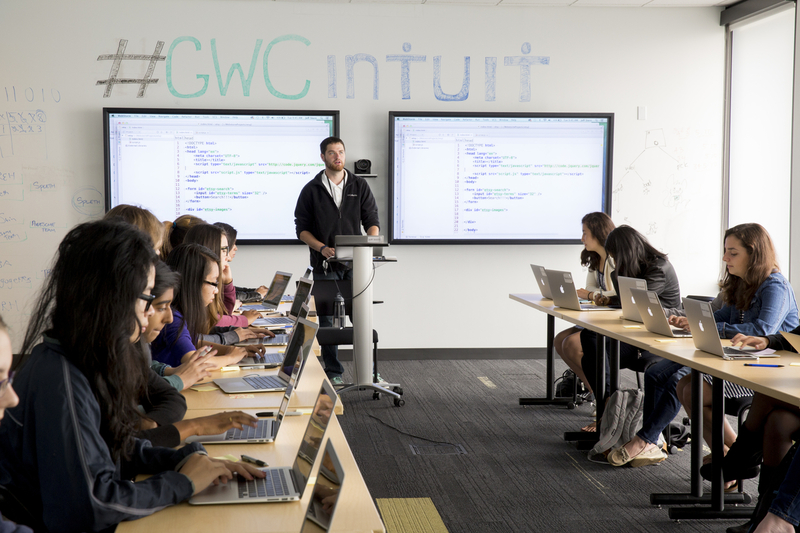 The other major point about teaching all kinds of kids to code is that it stands a real chance of diversifying the tech sector, an industry sorely in need of real diversity. 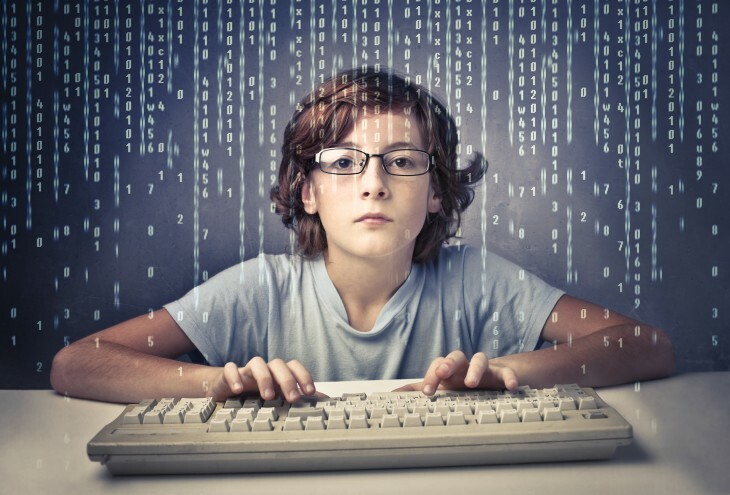 It would be easy to just ignore the idea of young people coding, dismiss it as something nice to keep the kids busy after their science homework. But I believe these apps are the beginning of an unprecedented new era where digital natives are making tech for digital natives – not just being peddled what Gen-X thinks they want. Some seriously ambitious, creative tech is being invented by these young minds, apps and tools that are totally unique and tap into a hugely important market – the next generation of users and consumers.